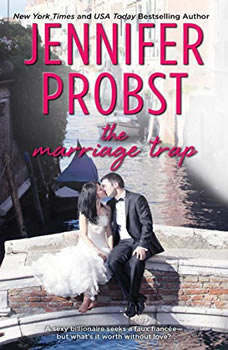 To satisfy his late father's wishes, hot and single billionaire Michael Conte must find a bride-someone who will fit into his traditional family back home in Italy-and fast, so his engaged sister will be allowed to wed. With no intention of being tied down, Michael "proposes" to fiery, free-spirited photographer Maggie Ryan: if she will play the part of his fiancée during her trip to Milan for a photo shoot, he will keep away from her married best friend, Alexa, and stop making Maggie nuts with their too-close-for- comfort flirtations. But once in Italy, sexual tension sparks the hottest no-strings- attached arrangement on any continent. Could marriage be the most enticing trap of all? Kim Jones presents That Guy, a must-listen romantic comedy.